Ready to boost your network? Need a powerful multi-service provisioning platform? Then it’s time to consider a refurbished Adtran OPTI-6100 LMX, a compact and high-density multi-service optical access and aggregation platform built for a variety of deployments. Today, we see the Adtran OPTI-6100 LMX working well for DS1, E1s, SONET, PDH and TDM over pseudowire and a variety of DS3/E3 delivery options. It’ll perform just as well on your site as in customer premise service delivery — plus, many companies use it to boost their mobile backhaul. By supporting a wide range of options, such as interworking SDH And SONET optical networks, your Adtran OPTI-6100 LMX will put today’s standards to work for you in the smartest conceivable way. The OPTI-6100 LMX can serve to host OMMs and terminate up to OC-48 circuits, while related tributary modules are able to support high-density applications by delivering 10/100/1000 ENET services. Units come in both 19-inch and 32-inch rack-mountable deployments. Build out as you need with support for a range of topologies such as terminal modes, end-to-end, hub and other options with multiple possibilities. 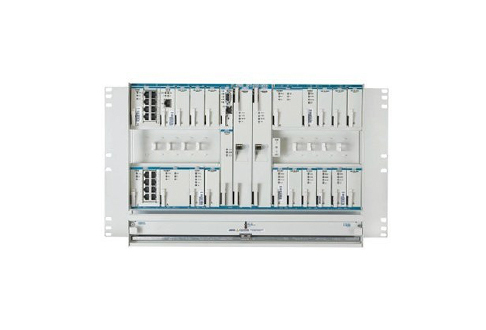 A refurbished or used Adtran OPTI-6100 LMX will give your network the capability to enable flexible delivery of your high-bandwidth, fiber-based services. Meet the demand that exists for your network and boost DS3 offerings with a smart partnership with us — Worldwide Supply. Select a used or refurbished Adtran OPTI-6100 LMX from us and make sure your delivery is what your customers need.